Although written before September 11, 2001, it gives the background information to put those events into perspective, showing that Americans have been in denial for the past 20 years, while overseas, a lot of anti-American / anti-Western sentiment has been brewing. Despite the title, this is not a book about Osama bin Laden, per se. It is a detailed account of the rise, inner workings and future of fundamental Islam and terrorism. Especially interesting is the stunning ineptness of the Clinton foreign policy which led to the current situation. Under the Taliban, women have been denied basic human rights, are forced to wear veils, and secluded. This book addresses the religion, revolution, and national identity of Afghan women and places them within their gender-political and religious-political roles, elevating our understanding of their abuse, imprisonment and murder, and offering a basis for their rehabilitation. Powerful and moving interviews with Afghan women conducted and translated by the Revolutionary Association of the Women of Afghanistan are presented, a brief history of the struggle of the Afghan women, and an overview of the conflict between the Afghans and the Taliban are included. Gideon Rose, James F. Hoge Jr.
Includes contributions from such experts as Fouad Ajami, Karen Armstrong, Richard Butler, Samuel R. Berger, Wesley K. Clark, William J. Perry, Alan Wolfe, and Fareed Zakaria, who try to help make the events of 2/11 more understandable, even as we steel ourselves for actions yet to come. Written by CNN's terrorism expert, this book is an in-depth study of Osama bin Laden with up-to-date information. He answers several questions, arguing, among other things, that it's a myth that the CIA directly funded and trained bin Laden during the war in Afghanistan. He also adds details about bin Laden's rise from his wealthy childhood in Saudi Arabia to his current career, and the global spread of Al Qaeda's terrorizing tentacles. John Cooley, Middle-East correspondent for the Christian Science Monitor, writes about Afghanistan and its geopolitical importance over the 25 years. One of very few English language books about the historical background of Al Qaeda and international terrorism, "Unholy Wars" delves into the Soviet invasion in 1979, the US-supported campaign by the mujahedin to fight the Soviets, and the subsequent transformation of the most militant mujahedin into Osama bin Laden's terrorist network, Al Qaeda. Examines the new style of terrorism by small groups, cults, even individuals with access to weapons of mass destruction. These groups and individuals typified by, for example, the Aum cult in Tokyo or the action of Timothy McVeigh in the USA, are more difficult to control even than small disaffected groups with political aims. The events surrounding Usamah bin-Laden are a clear indication of the significance and relevance of the topics covered by this book. 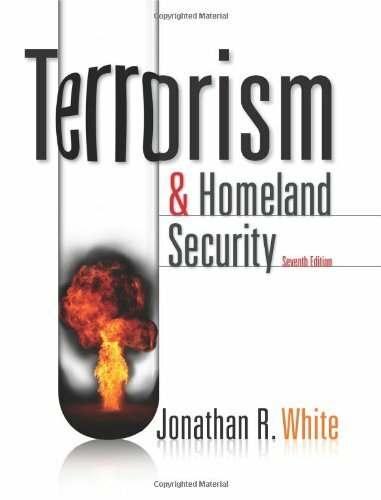 An examination of the modern method of terrorism by cells, small groups, cults, and individuals who have access to weapons of mass destruction, and how much more difficult this style of terrorist is so much more difficult to ferret out and control than the old style terrorists. In an age of terror in which counter-terrorism will be one of the highest priorities of national governments and international institutions, a great debate has begun: What exactly is to be done? The answer depends largely on the answer to this question: What happened here and why? 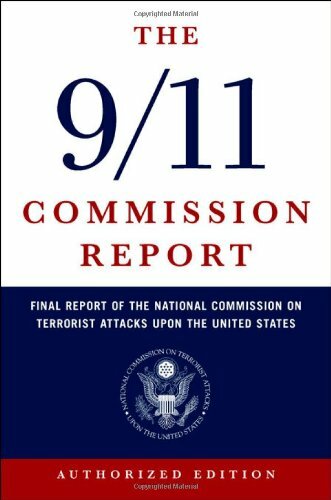 In this book, an agenda-setting team of experts begins to answer this question and examines the considerations and objectives of policy decisions in post-September 11 America. This is an in-depth look at the problem of terrorism as a whole. The author uses examples from groups all over the world and in the process discredits such concepts as "one man's terrorist is another man's freedom fighter." 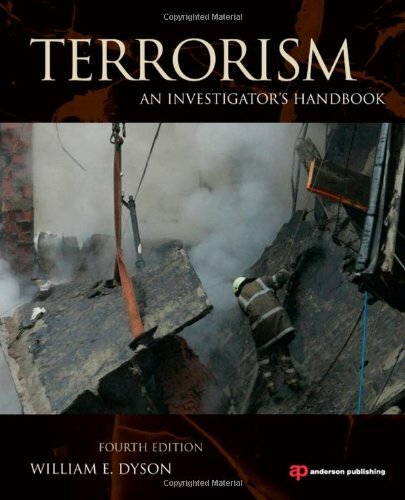 The newest addition to this already revealing book is a final chapter which discusses the problems of counter-terrorism as well as possible solutions. On September 11, 2001, hours after the terrorist attacks, military historian Victor Davis Hanson wrote an article in which he asserted that the US was now at war and had the moral right to respond with force. An Autumn of War, which opens with that first essay, will stimulate readers across the political spectrum to think more deeply about the attacks, the war, and their lessons for all of us. 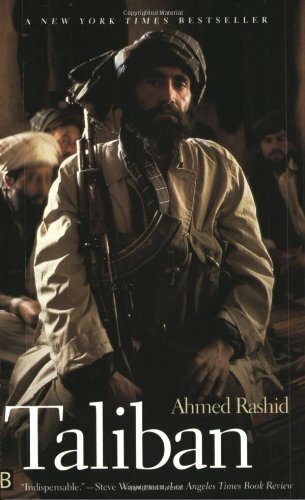 Ahmed Rashid's book "Taliban: Militant Islam, Oil, and the Fundamentalism in Central Asia" is an excellent book for those who would like to understand the Taliban, its background, rise to power as well as US and Pakistan's support of the fundamentalist regime. 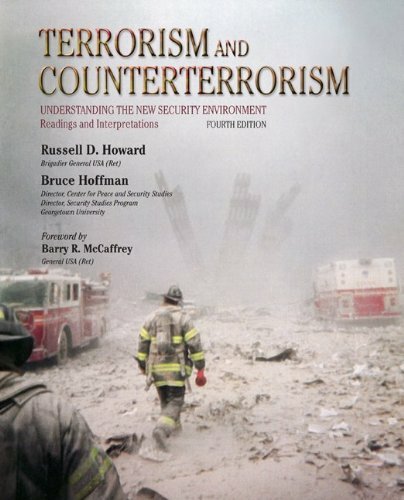 Published in 2000, it is a very timely book given the tragedy of the September 11 attacks. A scholarly survey of the Afghan civil war, Soviet occupation, the pursuit of power by the competing mujahadeen factions, and the rise of the Taliban. This book provides a comprehensive account of the recent fighting in Afghanistan that offers a look into the unique nature of Afghanistan with regard to the deep ethno-linguistic cleavages. According to author Malkin, the 20th hijacker was our own government. She exposes how America continues to welcome terrorists, criminal aliens, foreign murderers, torturers, and the rest of the world's "undesirables." It reveals how our immigration authorities have granted citizenship or legal permanent residence to America-haters and brutal thugs. And it explains how misguided policies and overworked officials have encouraged criminals to enter our country, abuse our systems, and attack our citizens. In many cases, says Malkin, our government has approved policies that make it virtually impossible to identify or track known criminals entering our country. Saddam Hussein sends hit men to assassinate the President of the US; Iraqi terrorists spread carnage throughout London, Paris, and Riyadh; and he has a nuclear surprise. Only a Arab-Isreali coalition against Iraq can keep the U.S. and other nations from devastation. Now, the Isreali Prime Minister gives the American President an ultimatum: Melt down Baghdad within one hour . . . or Israel will do it herself. From Jerusalem, Bennett and McCoy must summon all their stealth and savvy to save themselves--and the world--from absolute destruction. The book describes al Qaida's beginnings, structure, and its efforts to buy or develop nuclear weapons. 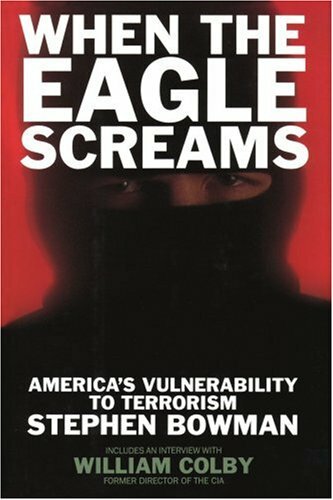 Also delves into the 1998 edict that Muslims should kill Americans (military or civilian) anyplace in the world, and provides insight into how the insanity of bin Laden developed and why others bought into it. Brief sketches of dozens of al Qaida members. A chronological review of events. 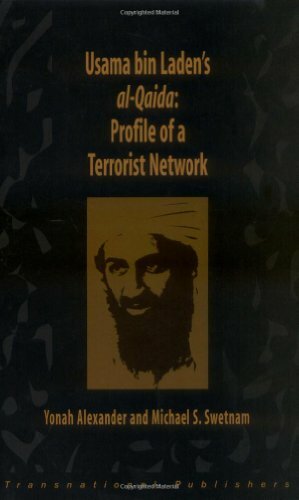 The book provides statements and interviews of bin Laden so that you can hear in his own words his views. September 11 was not an isolated or unpredictable event. The US has become home to probably thousands of terrorists, and it has become a central node in their international networks. Steven Emerson, the nation's leading expert on Islamist terrorism, has been working full-time since 1993 to track the spread of terrorist networks to our shores, even at great personal risk. Since death threats in 1995, he has not maintained a home address, though he has continued to write and testify under his own name. With the help of a staff of researchers he has followed the terrorists' monetary sources, monitored their attacks and plans, exposed their ties to charitable foundations, and assisted a variety of government agencies in the battle against them. He has obtained videotaped evidence of terrorist training camps and conferences, and tracked the international connections of American operatives to over a dozen organizations.